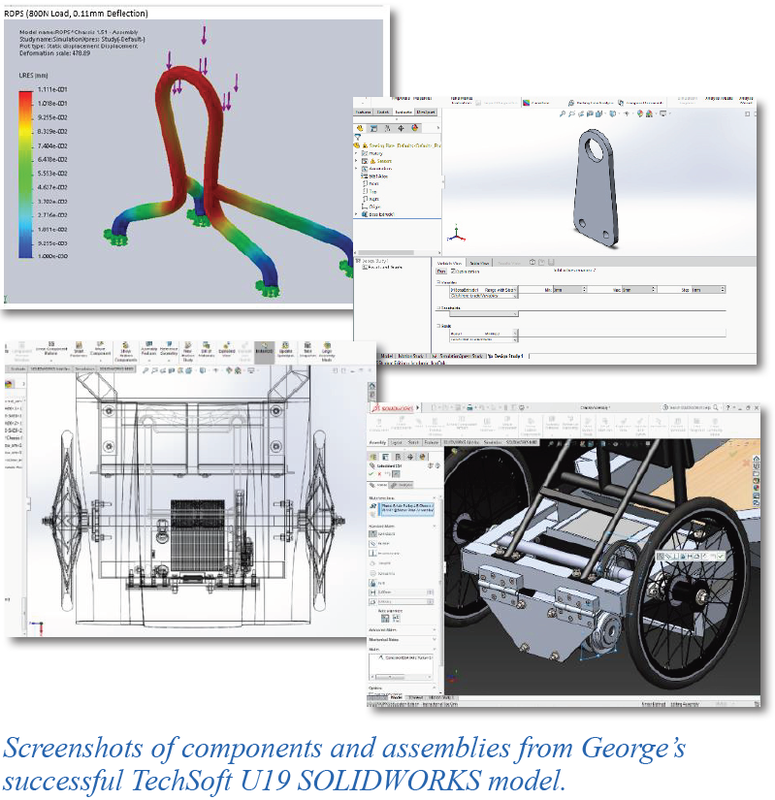 A model student wins pole position in the TechSoft UK Schools SOLIDWORKS Under 19 Competition. The school has been entering the Greenpower Trust competition since 2006. 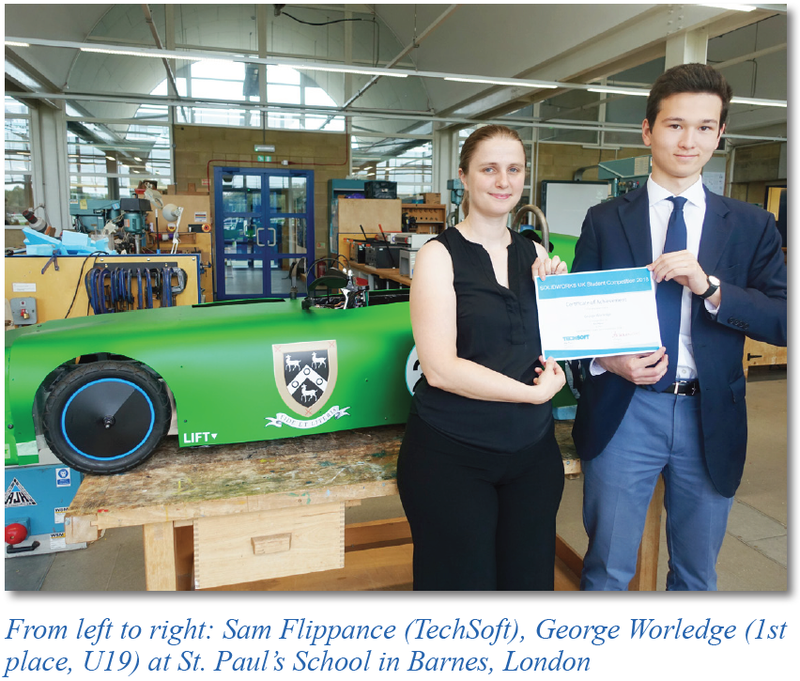 They were made aware of the TechSoft UK Schools SOLIDWORKS competition via the Twitter account (@TechSoft_UK), and George was keen to enter. A 3D printed scale model of the body was created to aid in design visualisation and fully rendered images of the car were used in marketing material to raise money to fund the car’s manufacture. The FireFlyF24 team manufactured the full-size car in only three months, a testament to the preparedness of the design, and the labour-saving SOLIDWORKS features used in the manufacture. George’s work displayed a clear grasp of the mechanical and graphical talents needed to succeed in any design and engineering related field. This, along with his drive and determination will stand him in good stead in achieving his ambition to be involved in the motorsports industry.